I've just bought a project recumbent. It has no seat yet. There are many different types - why would I choose a mesh one over a solid one? 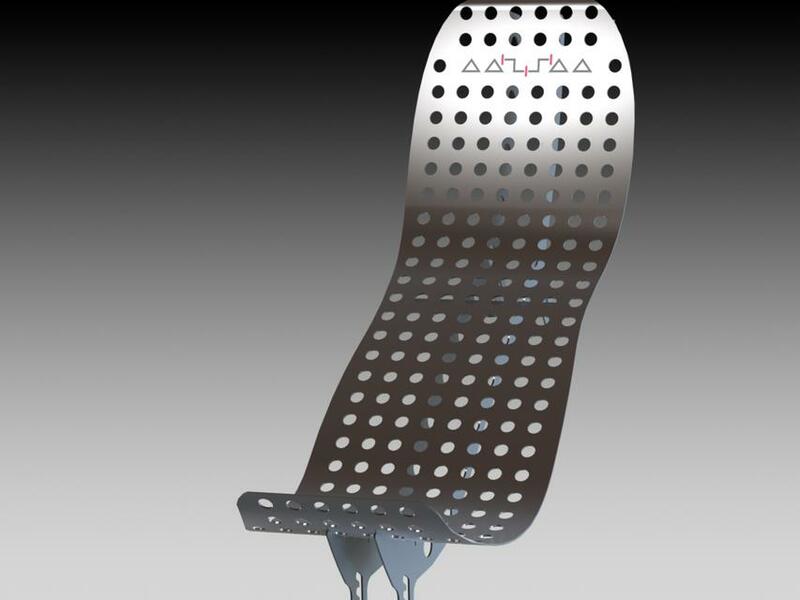 Mesh style - a HPVelotechnik "ergomesh"
"Bench" style - a HPVelotechnik "bodylink seat"
This same shape comes in metal or wood as well as carbon fibre. 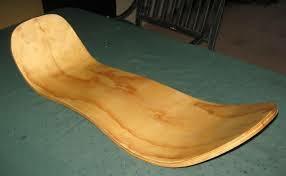 A homemade steamed and laminated plywood seat. In short: There is no definite answer and there are better places to ask. Having used two different mesh seats (both with a cushioned sit upon part and a mesh back) and one kind of hard seat, I feel I can give some advice. But as most is a case of availability and preference, I will not be able to give a definite answer. When cycling you sweat and with your back on or against your seat (depending on how much upright you are) you want ventilation. So your wooden seat is out unless you can introduce a ventilation layer or system. Next your position on the bike is such that you have much less options to take your weight (as you would do on any bike where your pedals are below you) so your seat will have to work with whatever springs and shock absorbers you have on the bike. The more absorbers you have, the less flex or cushioning you need in your seat. 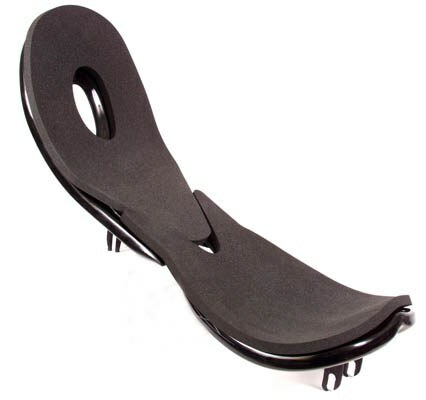 On a bike with no spring or shock absorbing you need a seat that takes up all shocks, not a hard one. Cushions can work but are hardly anytime enough. On all 'bents I have never needed anything to keep me in place. On the other hand, I prefer to be able to change position a bit so I can use different muscles or skin spots to avoid problems on longer rides, just like you may want to shift around on a horses saddle or an upright bike. The ventilation and cushioning can be aided by the cushion you select. Ventisit pads are one kind which I have often seen in use, but as far as I know they are not the only kind around. While I love the stack exchange sites, I feel a question as important as this should be asked where a lot of recumbent riders come together, exchange information and are willing to help out others. Like the Bentridersonline forum. Again, there are others, but this is one I know that works. Added: If your bike is more or less standard or you plan to repair it to standard, why not go for a seat that is standard for the bike or as near to it as you can get it? The designers have experience with bikes and the design is proven. One other thought: A seat with a frame (mesh) accepts a tailbox easier. One can build a lightweight tailbox and connect it to the aluminum seat frame with just zip ties and such. Cloth seat is more comfortable than a rigid seat even with padding. Pressure points (your sit bones) will compress padding to a rigid seat, where a cloth seat would be more forgiving. 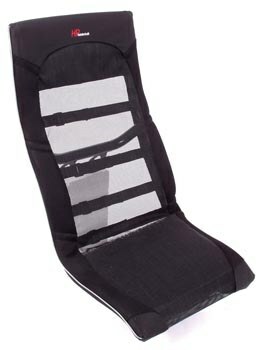 Cloth seat has better ventilation, assuming an open fabric is used. This allows airflow through and sweat to come out. 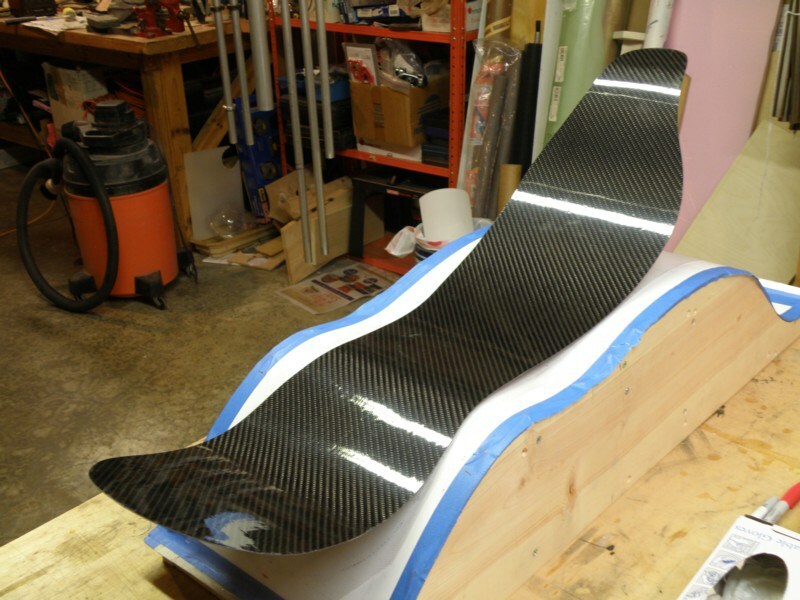 Rigid seat provides more elbow room, where the rails of a cloth seat could interfere. Rigid seat is more aerodynamic because it is completely behind the rider's torso. Cloth seat is slightly safer because it does poke out further than the rider. This would protect the rider from the ground if sliding, or slightly from intruding objects. Cloth seat is safer because your bum and back are slightly cupped, where a rigid seat is less cuppy so you could slide sideways easier. Probably more of an issue on a trike where there is no leaning into corners. Cloth seat frame might be engineered to fold, making the seat pan adjustable separately to the seat back. A rigid seat would only be able to tilt on its mount points. Rigid seat presents more power because the rider's back is firmly supported, where a cloth seat has more give and will flex on every power stroke. Both seat styles support a headrest of some sort. Both can be under a kilogram total, or as heavy as you want. Both can have their cloth/padding parts removable for washing. I'll come back with more information in a couple months.